Being a child is one thing but maturity, full development; perfected condition, is another thing altogether. This is a level of life the Christian should seek to reach. Here are some basic steps that will lead one to become a mature Christian. This is where it all begins. There is no way to reach maturity as a Christian without becoming one. Many talk about and claim to be a Christian because of the church they attend, family belief, or even because they believe God exists…but none of this will make you a Christian. You must make the decision to receive Jesus as Lord of your life. The Kingdom of God is the spiritual realm where God resides and in which the Christian operates. We, as Christians, are expected to dominate in this earth’s realm…not the other way around. We must receive the free gift of righteousness, through faith, and walk in the newness of life in order to mature as a Christian and to make a difference in the arena of life in which we live. The Christian life is first of all…a spiritual life. It is the ultimate deception to believe otherwise. Everywhere we look, people are overwhelmed with the natural aspect of our lives without the understanding that everything starts from and is grounded in the world of the Spirit. We must believe when we envelope ourselves in prayer, walk in the Word, and the Spirit of God, we can and will mature and prosper for “…men ought always to pray, and not to faint.”—Luke 18:1-3. Don’t be mistaken, it is time spent in the Word that will ground you and cause you to have a fruitful life. God’s Word is so vast that there is no way to comprehend it all, and it also has the power to bring itself to pass. Learning how to break down scripture and exercise great use of it may endear you to people but it will not help you when you need deliverance in your life…you need to get revelation of the Word you learn by meditating in it to receive revelation from God. Christian maturity has its roots grounded in the Truth of God’s Word. The time spent gaining revelation of the Word cannot be understated and should not be misunderstood. It takes the Word to save you, keep you, and make you a strong and relevant Believer in the Lord Jesus. There is nothing that can make the difference in your life as an understanding of the Word and insight into it…not just what it says but what it means! Consequently, my friend, fall in love with Jesus and His Word, it will be the best thing you’ve ever done…it certainly has for me! Excellent article on Christian maturity. It doesn’t happen overnight, but the journey is worth the wait. Thank you Barbara, and yes it definitely is! I stumbled upon this today and thought it was awesome and wanted to share it. Have a great Friday….. Thank you for the witness! Blessings! My brother, Sebastian. Had to come on over and check you out! Good stuff…………love what I am reading and hearing! If you ever come to the DFW area, make sure to let me know! Keep your peace! Thank you so much, I am happy you stopped by! I haven’t been through that way in quite a while but I am open to any opportunity the Lord has for me! Love all of this! Really opened mine and William’s eyes 🙂 Thanks so much! You’re welcome…it is my pleasure! I just found your blog. You have great wisdom and insight. Keep up your excellent work with your ministry. 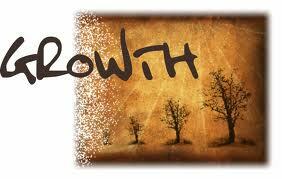 I am doing a series of blogs on how Christians can embrace doubt to grow to a greater faith maturity. I would appreciate any insights you have. Hello brother William! Thank you for your kind and thoughtful words…I really appreciate them. I have been a little behind on my reading and responding, but i look forward to getting a good look at your posts as soon as I can. Blessings to you sir! Thank you Cindy…I so appreciate it! Blessings to you as well! Thank you Connor! You point is so right, we absolutely must lay down those things that make us confident in ourselves and trust totally in God to use us according to His Will! Wonderful word, brother–yours, and HIS! God bless you–Happy Friday!